The single major difference between organizations is in their workflow. How well workflow processes are defined and executed differentiates poor and successful businesses. EssentOne Workflow allows custom business processes, specific to your business, to be defined and managed within the system. Processes are a list of activities that need to be completed to assure work has been properly performed. An activity is a task defined by name, type, priority, start date, and due date that is optionally assigned to a user. Activities are based on a template with relative dates. When the list of activities are created for the workflow, relative dates are replaced with actual dates. For instance, an activity template is created for the sales representative to call a customer one week after the invoice is sent. When the invoice is sent on October 1st, an activity will be generated with a due date of October 8th requiring the representative Jane Smith to call the customer. When all activities are closed, the process is done. 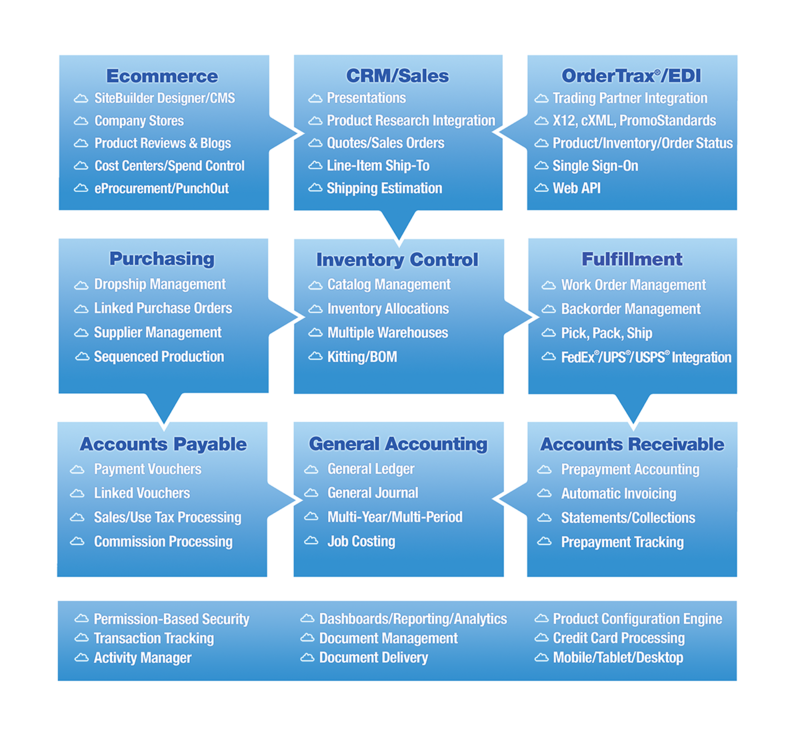 Optionally, a workflow process can be linked to an order, setting and removing holds and locks that control when the order can proceed through the order processing path. When all of the activities are completed or canceled, holds and locks are removed, allowing an order to proceed on its path. The Workflow Manager consolidates all workflow processes and associated activities into one place that allows work to be managed. Workflow can be viewed and sorted by workflow type, status, customer, branch, department, employee, and linked orders. At a glance users and managers can see the work they need to perform in the order it needs to be completed. The entire organization has a clear view of work that needs to be performed to accurately complete jobs on time. Multi-user environment, with fully integrated Security. View and Search all relevant information on-screen. Required Steps can be tracked through Activities, a uniform method to manage (No more Post-It Notes, Emails, or Paper Forms). The generation of Activities can be automated. Processes can be institutionalized -- The Organization Knows the status of an order, not just one person that needs to be tracked down. A history is automatically built for each and every order. Paper can’t manage business processes, EssentOne Workflow can! Up-to-the-minute performance reporting assists in more timely, more accurate decision making. Real-time accounting eliminates tedious batch processing and provides immediate reporting of current balances. Part of the EssentOne Operations Management System. Save time and reduce errors by eliminating redundant data entry. Many entries, traditionally entered by bookkeepers, automatically flow from other EssentOne modules. Feature-rich tools make processing easier. Staff can perform more sophisticated activities with less formal training. Proven state-of-the-art technologies like Client/Server and Web means that more reliable information is available faster and more often to more users. Integrated Process Workflow means activities can be tracked and shared; the traditional paperwork can be eliminated. Getting started with Essent is easy. Contact us today to begin the process. An Essent representative will work with you, at no cost, to begin the process of developing a solution tailored to your organization’s exact needs and budget.